Amber Thompson joined our team in mid-March. Amber is a West Michigan native who graduated from Grand Valley State University with a Bachelor of Arts in Psychology. Amber has also obtained her PHR certification. Most recently, Amber served as an HR Generalist for Munson Healthcare in Traverse City. Prior to that, she served as a Senior Client Program Manager for Adecco at Herman Miller. Amber has also shared her time and talents on a volunteer basis having been involved in several fundraising events for Kids Food Basket. We are excited for Amber to bring her broad HR experience and expertise in HR Administration, Talent Acquisition, and Employee Relations from various industries in both the For Profit and Not-for-Profit sectors. 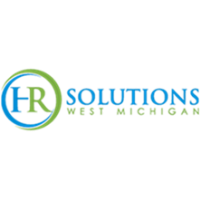 HR Solutions Group specializes in providing personalized HR guidance that aligns with your unique company culture & goals. Our experienced team can handle every HR need. This includes complex compliance requirements, hiring, pay and employee relations as well as long-term HR strategy for culture and human capital performance. Visit our website for more information at www.thehrsolutionsgroup.com.